Home / General / How religious is Japanese? Every so often, I get asked by friends or relatives overseas if Japanese people are religious. It’s not an easy question to answer. Books have been written about the subject, dealing in-depth with all kinds of topics ranging from Shinto, Buddhism, Yasukuni Shrine and organizations such as Soka Gakkai to the importance of the humble neighborhood shrine. Japan is certainly fertile ground for religious cults, sects and the like. According to the Cultural Affairs Agency, as of 2011, more than 180,000 groups across the country were licensed as religious corporations by the agency and prefectural governments. My view is that Japanese people are spiritual rather than religious. Most Japanese I know say they do not believe in a deity or profess to follow any religion. Yet they go in droves to shrines during O-bon and New Year. Prayers are written on votive tablets at shrines on the eve of important exams, Coming-of-Age Day, a job interview or in the quest for a suitable husband or wife. Furthermore, Shinto priests are always on hand to bless baseball teams before spring training begins, and at ground-breaking ceremonies for new buildings, or when machinery or vehicles that have been in use for a long time, are retired. While some Western observers would call these observances superstitious, I find them to be a very deep-rooted part of Japanese society. Shrine visits are a cultural tradition rather than a religious observance, especially when you consider that neighborhood shrines have been an important part of Japanese communities for centuries. 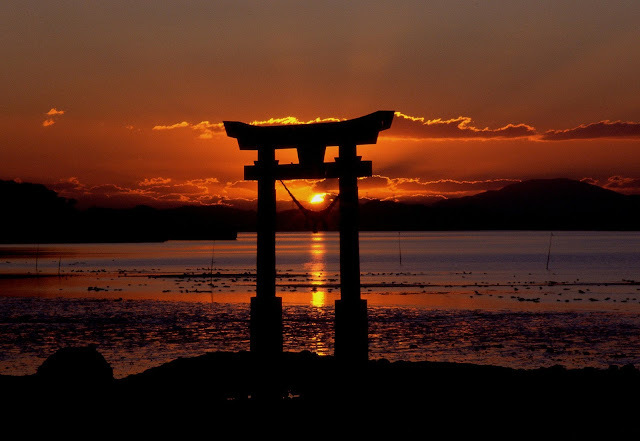 When I first came to Japan in the mid-1980s, I knew a little but not much about Shinto and Buddhism, and what role, if any, they played in the lives of Japanese people. An elderly Japanese gentleman once jokingly said to me that Japanese are born Shinto and die Buddhists. However, to me, a Catholic who goes to church every Sunday, I thought that anyone who didn’t go to church on Sunday could not be considered “religious.” Back then, my conclusion was that Japanese could not possibly be religious. In many ways, Japanese people treat religions – domestic and foreign - in much the same way as they do with fads and traditions from overseas – borrow, adapt and use aspects when necessary or convenient. A good example of this is the popularity of “Christian-style” weddings in churches and hotel chapels. 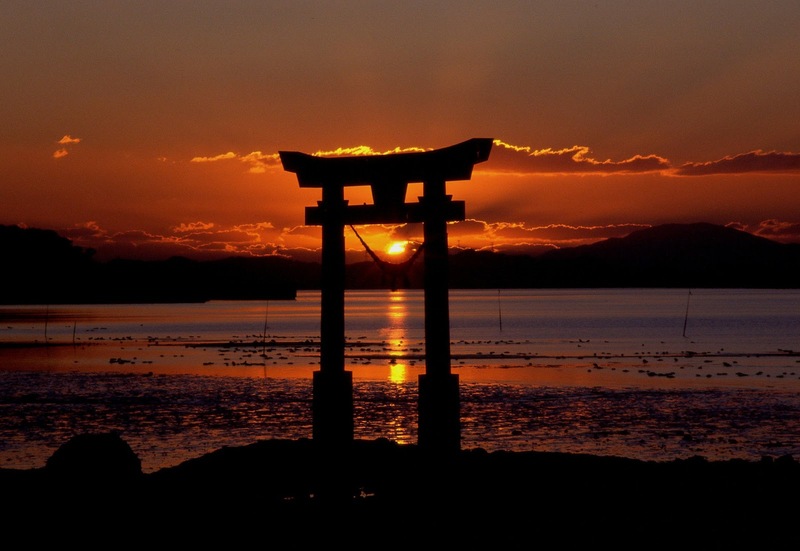 Even though they may not be very knowledgeable about other religions, Japanese are very respectful of them. In the 30 years I have lived in Japan, not once have I ever heard a Japanese person make fun of another person’s faith or mock someone for “believing in fairytales,” as some ill-mannered non-Japanese are apt to do. Rather, they only tend to become critical when believers of a cult, say, run amok. Some 27 years ago, our church in Roppongi started the Rice Patrol whereby we make onigiri and feed the homeless people every day of the year. Though it was started by Catholics, it has expanded to include many non-Catholics, including Japanese, for whom the project has been a real eye-opener. At first, they were curious as to why we did this, but a few were happy to come along and help feed the homeless. There was no preaching, no attempt to convert anyone; it’s just a simple act of charity that resonates with any decent person. Since the March 11, 2011 disaster, I’ve started to see a strong sense of spirituality among Japanese people, though I am sure it has always been there. I see it every time relatives gather at the scene of a disaster, an accident or murder to pray for the souls of victims. Earlier this month, a stalker murdered an 18-year-old former girlfriend in Tokyo. A few days after the crime, the victim’s parents released a statement to the media in which they described their pain and suffering and how they were now sending their daughter to heaven. It was a very poignant expression of both their pain and a hope that one day they will be reunited with their daughter. In times like that, I think Japanese are no different from anyone else in the world – we all look for answers in the face of tragedy. Whether people choose to call that religious, spiritual or superstitious doesn’t matter.